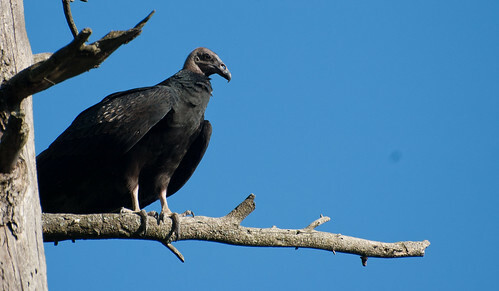 Vultures certainly don’t fall into the glamour bird category. 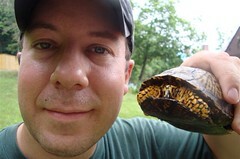 Their little bald heads and hooked bills have helped them evolve into nature’s perfect clean-up crew. And though we may not like to think much about them or their jobs, in areas of the world where their numbers have significantly declined the services that they provide are now being done by rats and feral dogs. 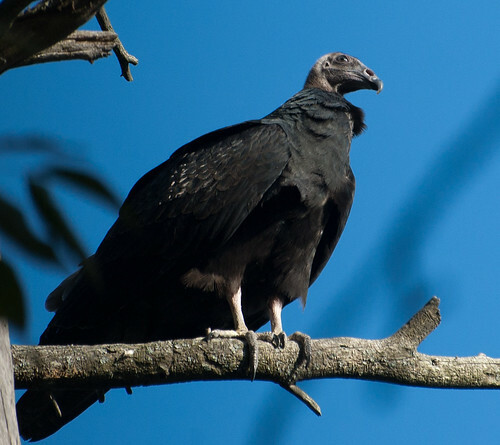 The increasing numbers of these replacement scavengers has led to increases in human rabies deaths. 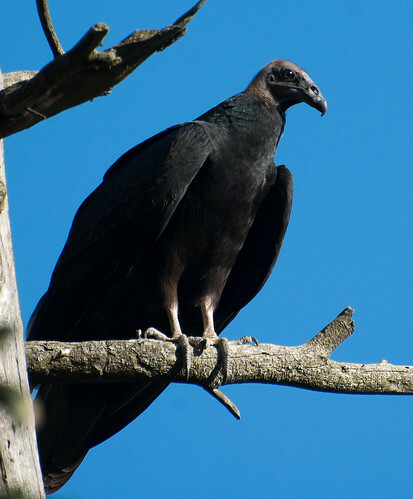 The immature turkey vulture has similar coloration in the head and feet to a black vulture (adult turkey vultures have red heads). But there were several things that pointed to this bird being an immature turkey vulture and not a black vulture: (1) location – seen in Ontario north of Toronto; this is in range for the turkey vulture and would be an unusual area to see a black vulture, (2) length of tail – turkey vulture tail is much longer than black vulture, and (3) observing the bird in flight it showed all the characteristics of the turkey vulture including the two-toned underwings. ps. Tom A., thought of dedicating the next blog to you, but maybe this isn’t the right one! This entry was posted on 12 September 2013 by patacoate. 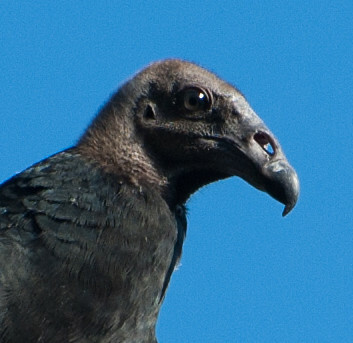 It was filed under iPhone and was tagged with immature turkey vulture.